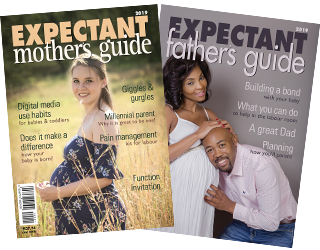 Expectant Mothers Guide | Genetic Counselling, What is it? And do I need to go? 27 Sep Genetic Counselling, What is it? And do I need to go? By Merlyn Glass – Genetic nurse counsellor – NHLS University of Witwatersrand. Genetic Counsellors attend to people who either have an inherited or genetic condition themselves, or have had a baby with an inherited condition, or who are at risk to have a baby with such a condition. Some women are at higher risk than others, either because they are older than 35 years of age, or if there is a family member with a genetic condition. When you are referred, or you choose to go to a Genetic Counselling appointment, the counsellor will explain the medical facts about the condition, discuss testing available, whether testing is necessary or available for the unborn baby, and she will provide emotional support during decision making regarding choices, either around options for a current pregnancy, or planning for future pregnancies. Everyone has 46 chromosomes in each cell of their body: The chromosomes are made up of the genes, which determine every single thing about us – not only hair colour, skin colour and eye colour, but also lung function, heart function, brain development, development of bones, hormones, enzymes…everything! Everyone has at least three or four faulty genes, which we don’t always know about. When an egg or sperm is formed, they should each contain 23 chromosomes, so that after conception, the baby will receive 46 in all; 23 from mom, and 23 from dad. When a baby has more than 46 chromosomes, for example, 47, where the extra one is number 21, then he/she will have Down syndrome. Children born with Down syndrome are intellectually disabled as well as developmentally delayed. Some of them have heart problems too. Women over the age of 35 years, have a higher chance to have a baby with a condition like Down syndrome. Some people are from communities where certain genetic / inherited conditions are more common; for example, cystic fibrosis in the white community, albinism in the black community, Tay Sachs disease in the Ashkenazi Jewish community, a severe anaemia, called thalassaemia in the Indian and Greek communities, or sickle cell anaemia in people from the Central African countries. In these people, testing can be offered to see if they “carry” a particular faulty gene. If they do, then it would be important to test their partner. If both of the couple carry the same faulty gene, then there would be a 25% chance for the baby to get a “double dose” of this faulty gene, and be affected with what is called a “recessive condition”. The genetic counsellor will discuss risks with the couple and offer testing of the unborn baby if this is what they choose. Genetic Counsellors are trained to support and guide these individuals in making choices regarding their pregnancies. They can offer testing either before one falls pregnant, or during the pregnancy, depending on the condition, but most importantly depending on what the patient wants. I have tested my pregnancy from Dor Yeshorim ( http://doryeshorim.org/tests/ ) and Tay-Sachs is positive in reports. Should I terminate my pregnancy or there are chances for curing this disease.